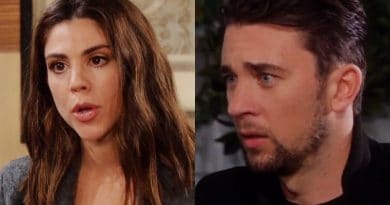 Days of Our Lives spoilers reveal that Abigail Deveraux and Chad DiMera reunite and marry in an epic sendoff as the characters leave town. Days of Our Lives spoilers reveal Abigail Deveraux finally forgives Chad DiMera so they will have a wonderful Valentine’s Day. That lays the groundwork for them to leave Salem together and happy. 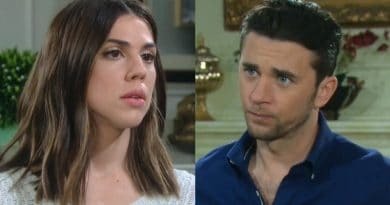 ‘Days of Our Lives’ Spoilers: Kate Mansi and Billy Flynn Final Airdate Revealed – Happily Ever After Exit? 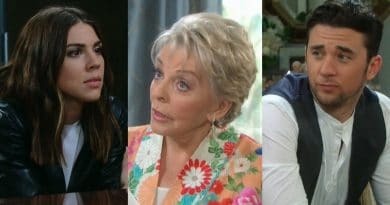 Days of Our Lives spoilers for the week of January 7 reveal that Julie Williams helps Chad DiMera and Abigail Deveraux reunite. ‘Days of Our Lives’ Spoilers: Abigail Lets Awful Gabi Off the Hook! Days of Our Lives spoilers reveal that Abigail Deveraux is still upset with Chad DiMera and doesn’t know how she can forgive him. Days of Our Lives spoilers reveal Abigail Deveraux (Kate Mansi) reunites with her back from the dead father, Jack Deveraux (Matthew Ashford). 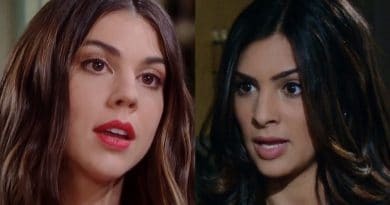 Days of Our Lives spoilers reveal that Abigail Deveraux ends up having a hand in deciding Gabi Hernandez’s fate. ‘Days of Our Lives’ Spoilers: Abigail Faces Off With Ben Weston – Trouble or Forgiveness Ahead? Days of Our Lives spoilers reveal that Abigail Deveraux runs into her ex Ben Weston, meeting him face to face. Days of Our Lives spoilers reveal that Abigail Deveraux pretends to be her alter Gabby to get Stefan to release her from Bayview. Days of Our Lives super couple Abigail Deveraux and Chad DiMera have had their ups and downs. Should Abby forgive Chad for what he did? Days of Our Lives spoilers say Chad DiMera and Abigail Deveraux have a Valentine’s Day to remember as they ride of into the sunset together. 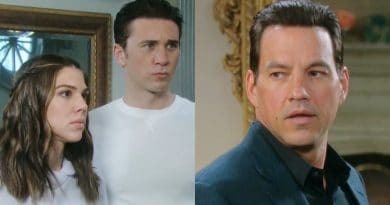 Days of Our Lives spoilers tease Gabi Hernandez’ (Camila Banus) revenge plan on Stefan DiMera (Tyler Christopher) is still very much in play.